Explore Monument Mountain in Great Barrington, Mass. Visit the Berkshire Historical Society at Arrowhead, Herman Melville's summer home. 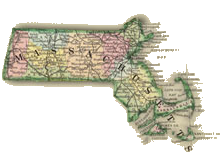 Learn more about the history and culture of Western Massachusetts at the Pocumtuck Valley Memorial Association in Deerfield. 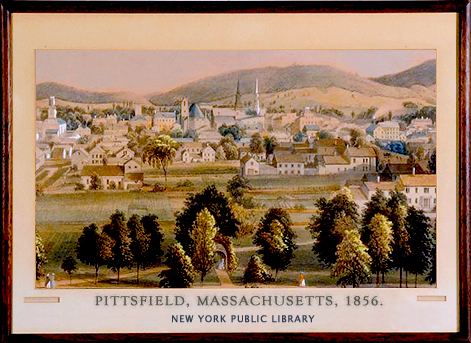 During the summer of 1844, Thoreau met his close friend, Ellery Channing, at the Pittsfield train station to embark on a trip to the Catskills. 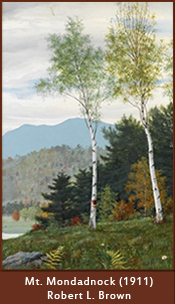 Rather than treating this excursion as a separate subject, he incorporated it into A Week on the Concord and Merrimack Rivers (1849), the travelogue of his expedition to the White Mountains with his brother, John, in 1839. His expansive asides in a Week about his Catskill journey exemplify his artful approach to travel writing. 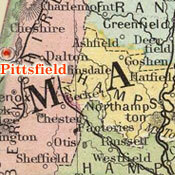 Far from providing a straightforward narrative of his trip to Pittsfield by way of Mt. Monadnock, through the Deerfield Valley, then to Mt. Greylock, Thoreau broke the account into two parts, describing the second half of the journey first and telling the tale as if he had spent a night the Catskills before rather than after his solitary walk in the Berkshires. Thoreau's discursive works on travel place him squarely within a wider movement among American writers and artists to turn to nature both as a source of creative inspiration and as a retreat from the distractions of town and city life. His excursion to the Catskills provides an especially rich case in point. During this period, a loosely linked group who came to be known as Hudson River School painters developed the first self-consciously American approach to portraying what was still seen, at least from the standpoint of Europe, as the New World. 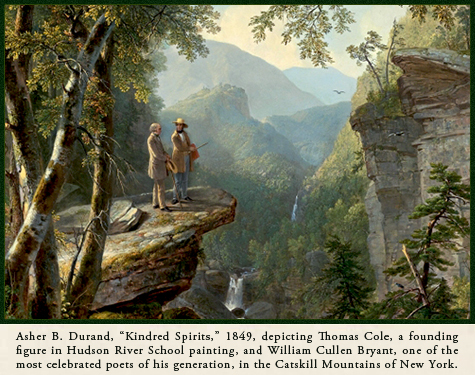 Just as Ralph Waldo Emerson (1803-1882) dramatically announced the arrival of an essentially American intellectual tradition in "The American Scholar" in 1837, Hudson River School artists such as Thomas Cole, (1801-1848), Albert Bierstadt (1830-1902), Frederick Church (1826-1900), Asher B. Durand (1706-1886), Robert Duncanson (1821-1872), and George Inness (1825-1894) established a genre of painting that celebrated its origins in the natural beauty of the United States. 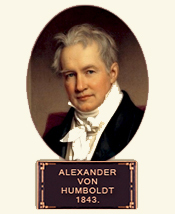 Of all of these painters, Church has been connected most definitely to Thoreau since he, like Thoreau, drew great inspiration from Alexander von Humboldt (1769-1859), who was generally regarded as the world's greatest scientist during the first half of the nineteenth century. While Thoreau did not have much use for museums, he stopped at the Boston Atheneum on his way to Cape Cod in 1855 to view an exhibition of Church's monumental painting, The Andes of Ecuador, which had become a national sensation as it toured cities throughout the country. "Men — poor simpletons as they are — will go to a panorama by families, to see a Pilgrim's Progress, perchance, who never yet made progress so far as to the top of such a hill as this at the dawn of a foggy morning. All the fog is in their brains... Men will go further and pay more to see a tawdry picture on canvas, a poor painted scene, than to behold the fairest or grandest scene that nature ever displays in their immediate vicinity." 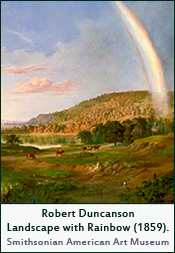 Learn more about Hudson River School painters. Lament how little we know about Boston-based African-American artist John L. Brown, an obvious heir to Hudson River School painting. Learn more about Herman Melville and Nathaniel Hawthorn's travels together in Pittsfield from Hawthorne in Salem. 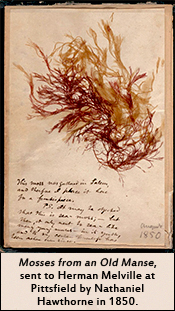 Explore the connections between Humboldt and Thoreau in our Maps Section.